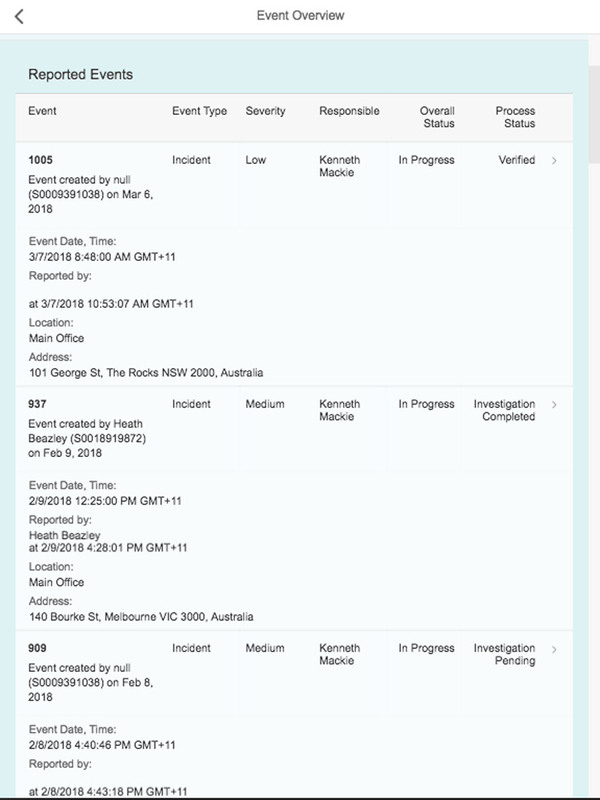 Real-time mobile incident and case management for business. EHS SuccessFactors is a SuccessFactors extension that is configurable to the organisation’s requirements for key incident and case management processes. The application is available to all employees anytime, anywhere through portal and mobile technology. Intuitive capture of incidents and hazards through multiple devices to allow immediate notification by severity to HR and Safety team and managers. Capture relevant information immediately, utilising location finder, photo / video updates, voice notes and mandatory incident fields. Available to the entire workforce through the SuccessFactors portal or mobile devices. Dashboard reporting across incidents allows investigation teams and management to manage all aspects of cases raised by central HR or management team. 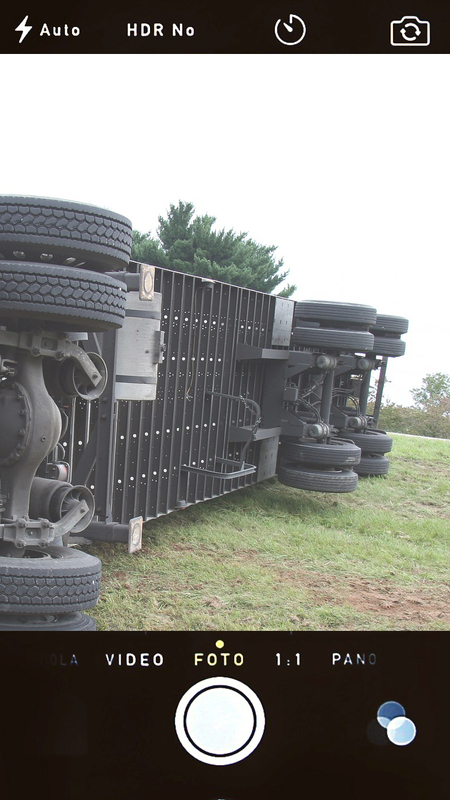 Incident/hazard classification and assessment ratings. Designated tasks and workflow for team members. 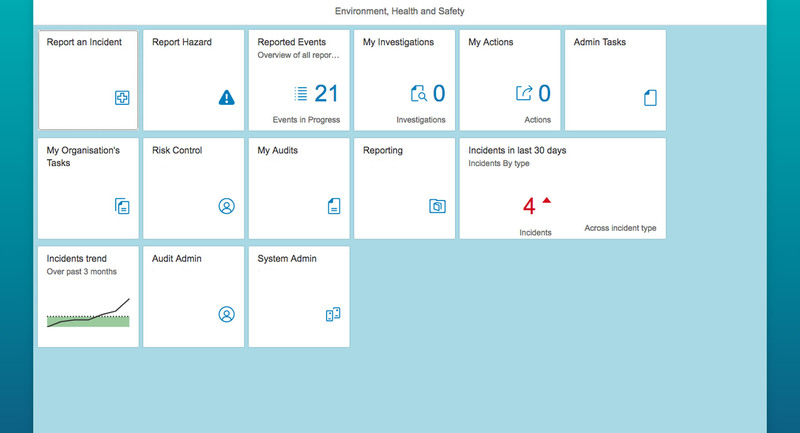 Real-time EHS reporting available to HR team and managers. Summarised dashboards offer quick analysis with access to incident details via drill down capabilities, while providing regulatory legal and governance reporting for senior management. Request an online demonstration and pricing details by contacting Discovery Consulting on +61 1300 664 903. Or via form below.